Wow - what a great experience. 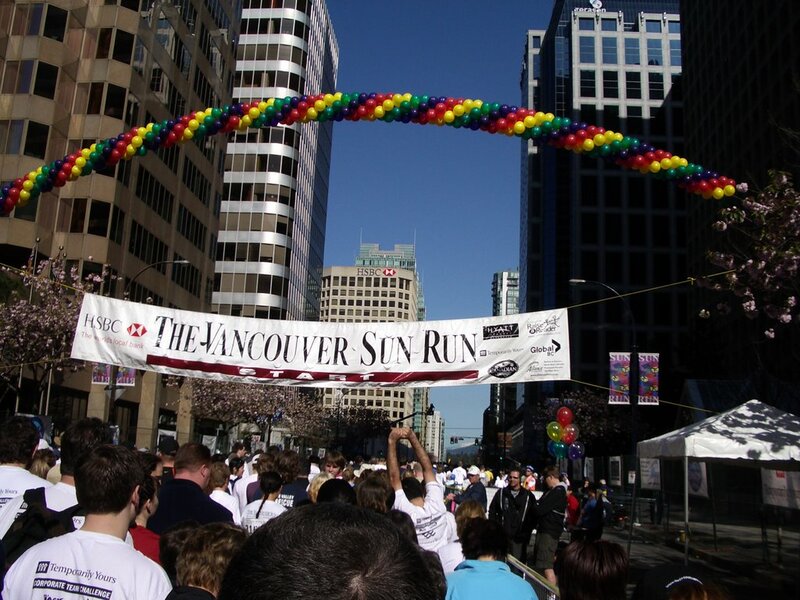 Ran the Vancouver Sun Run today (called the sun run as it's sponsored by the newspaper the Vancouver Sun, but it did live up to it's name in spectacular style - glorious 20 degree weather making you long for the shady patches!) 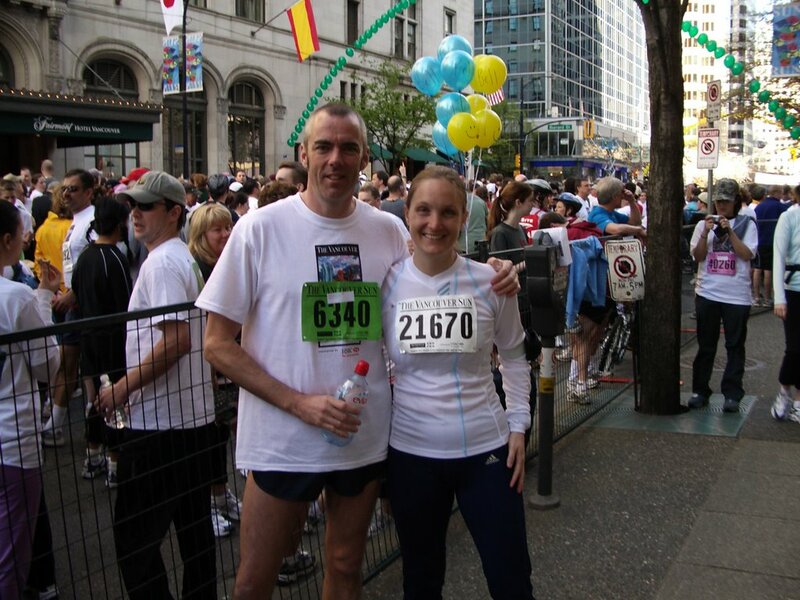 The race started in downtown Vancouver, along the main drag then into Stanley Park and along the Creek crossing 2 major bridges before ending in BC Stadium - the football stadium. The scenery was great - snow-capped mountains, leafy greenery in Stanley Park, the breathtaking water view at English Bay, and bridge views of English Bay and False Creek. 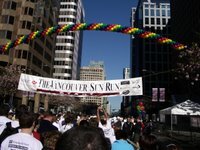 Such a good vibe - 50,746 registered participants on the day! 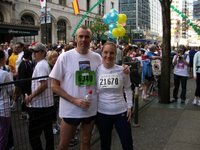 Chris and I ran seperatly coz of our varying times - my 'wave' didn't cross the start line till 45 mins after the claxon went off (very cool - you wear a computer chip on your shoe to register your actual 10km time from start to finish lines!) but eventually met up in the stadium for free powerbars, yogurts, fruit & bagels for a late breakfast! Spent the afternoon back at our city campsite lounging in the sun, napping and having a fabulous lard-bucket BBQ! (thus destroying all the health and vitality our bodies may have felt!) I think well deserved! Finished the day off with a soak in the hot tub!